While everyone knows that they typically have a day off in early September that marks the end of summer, there is a general lack of awareness about the history of the holiday. The first Monday in September actually marks the creation of the labor movement and is dedicated to the contributions that American workers have made to our country. As we enter the long weekend, it only seems fitting that we celebrate the art of relaxation and take the path of least resistance in recognition of all of our hard work. And how we consume our cocktails should be no different. Below you will find some of the easiest and best ways to toast the day. They are often referred to as “ready to drink” for a reason. Yep, the most work you have to do here is crack the can open, oh – and maybe pour over ice. 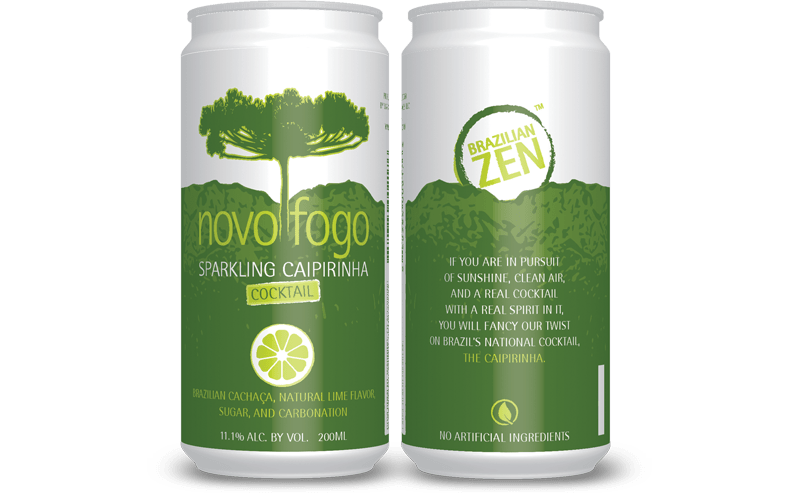 Novo Fogo Sparkling Caipirinha ($3.99 per can): Novo Fogo, a USDA-certified distillery that produces organic cachaças from fresh sugarcane, is highlighting the national spirit of Brazil in an accessible way by introducing the first ever Sparkling Caipirinha in a can. It’s fresh, natural, flavorful, and carbonated, making the world’s most popular cocktail by consumption sparkle and shine in a way that is easy to enjoy.